Whenever the giants turned in for the night, taking their huge toys with them, we were left nothing to play with, and slept under sofas and chairs. The gift of bigness would never be ours. This was a truth against which we had tried again and again to turn our tiny backs, and each time had failed. Undone by sorrow, some of us found solace in prayer, and others, like ourselves, chose to follow wild dogs through the dark, moose-crowded woods of the northland, nursing our hurt until we dropped. 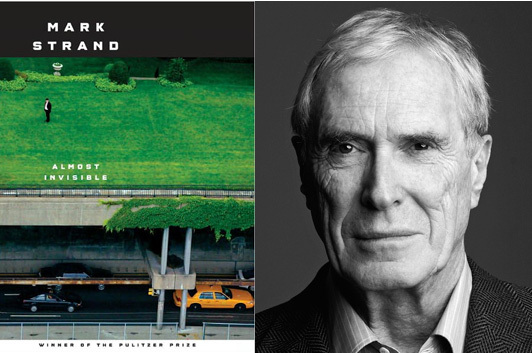 Almost Invisible is a collection of short prose poems by former U.S. poet laureate Mark Strand published at the beginning of 2012. 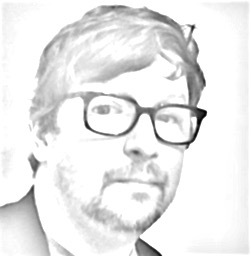 It collects works from, among other publications, Slate (“The Engima of the Infinitesimal” and “Every So Many Hundred Years Hence“), LIttle Star (“The Students of the Ineffable” and “The Triumph of the Infinite”), and Poetry (“Futility in Key West,” “Mystery and Solitude in Topeka,” “No Words Can Describe It,” “The Minister of Culture Gets His Wish,” and “The Mysterious Arrival of an Unusual Letter“). Oh, and five poems in Boston Review, where Nicholas Christopher praises Strand for his “clean lines, taut narratives, and carefully framed mise-en-scènes.” I’d add only that they have for me the surreal specificity of dream images—sharp, distinct tableaux of things that shouldn’t quite fit together yet somehow do, and in doing so impress themselves upon your memory.